After detoxing from a drug or alcohol addiction, the road to staying sober can feel a little lonely. Family and friends will be by your side, but they probably haven’t experienced what it’s like to go through an alcohol addiction or something worse. For a lot of people, the best road to recovery is by being a part of group therapy. Group therapy is one of the most common practices of therapy for a person fighting addiction. It’s one of the oldest methods to combating addiction. Its practice became popular when addiction specialists tried to find therapeutic alternatives to doing one-on-one therapy with a psychiatrist who can’t genuinely relate to your struggles. Next Level uses group therapy as a cornerstone for clients who positively thrive in group or social environments. The worst thing you can do to someone who is seeking to overcome an addiction is to tell them they need to cut off from social groups. It’s important to leave social groups that might enable your habits, but positive groups are essential to recovery. 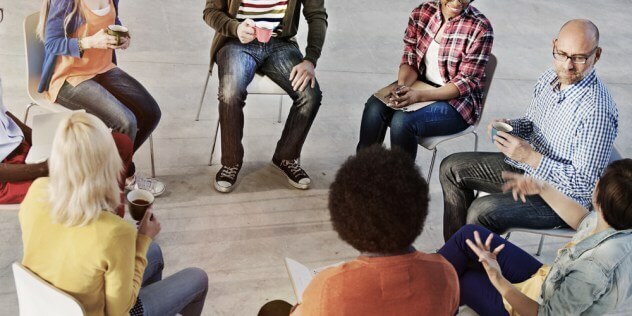 Group therapy is a powerful way to help build each other’s support and accountability. Knowing you’re not going through recovery alone also helps encourage you to keep going through your program. Group therapy is such a successful program for some because it combats the inherent aspects that come with addiction. Addiction is almost synonymous with depression, anxiety, shame and denial, but one of the largest side effects of addiction is isolation. Along with support and reducing isolation, group therapy can give you more information and tips on combating addiction that you might not hear from professionals. It also provides a positive family-like environment that allows you to give and receive positive feedback as well as critiques. But most importantly group therapy provides hope. Seeing other people persevere through their vices will help inspire you to overcome your own.